The District has had a complete jointure of all grades since 1932. It was reorganized as a third class district on June 30, 1966, and retained its original designation — Kennett Consolidated School District. The District is fortunate in that the composition of the student body is balanced, including 5% African-American and 35 % Hispanic. Religious, ethnic, and minority groups are representative of national averages. The Kennett Consolidated School District is committed to a high quality educational program and continues to seek improvements in all areas of instruction. Faculty for the operation of the District is provided by a certified staff of classroom teachers, guidance counselors, reading specialists, librarians, nurses, special teachers, and psychologists. There are six principals, three assistant high school principals, and two assistant middle school principals. Working closely with the Superintendent are the Assistant Superintendent for Administrative Services, Assistant to the Superintendent for Business Services, Director of Facilities, Director of Special Education, and Supervisors of Curriculum. Three elementary schools and a Kindergarten Center are organized to accommodate all pupils from kindergarten through grade five. The Middle School has been developed for grades six, seven and eight, and the High School for grades nine through twelve. 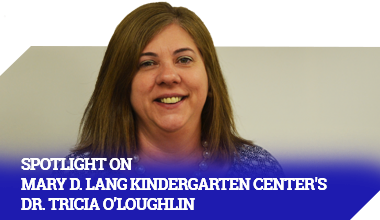 The Mary D. Lang Kindergarten Center, located in the Borough of Kennett Square, opened in 1972 as an elementary school and was renovated in 2011 to meet the needs of a kindergarten center. Greenwood Elementary School opened in 1963 and was added to in 1984. The New Garden Elementary School opened in 1955 with additions in 1960, 1966, 1989, 1994 and 1998. The new Bancroft Elementary School opened in 2011. Kennett Middle School serves all District students in grades six, seven and eight and was opened in 2002. Kennett High School, which observed its seventy fifth anniversary in 2007, and in that same year completed extensive renovations. Kennett High School recently finished renovations to its athletic fields which included the creation of a state-of-the-art twenty-five hundred person turf stadium, one of only a handful of its kind in the state.